The world is a tough place. Bad things happen. Look at what’s being going on across the world recently – terrorist attacks, fires – the loss of life and ongoing ripple effect of these recent incidents is truly devastating. I’m sure you’ve watched the tv footage of families who have lost people and thought “I’m not sure I could go on, if that were me”. Resilience is a topic that has fascinated me for a long time. What makes us resilient? Are we born with an in-built level of resilience? Is it something we develop over time? Is it linked to our personality? 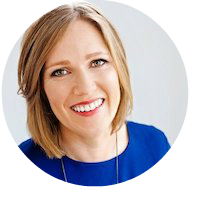 That’s why I’m so excited to share details of our next Smart Breakfast on 10 August, when our keynote speaker will be Shelley Watts, Australian Boxer, an Olympian and Commonwealth Games 2014 Gold Medallist. With an inspiring story of commitment and resilience, Shelley will share stories from inside and outside the ring on what drives her and the life lessons she has learnt that we can all benefit from in our career and beyond. Meantime, for me there are 3 stories and examples of resilience I have come across recently that have impacted me and my own ability and method of dealing with the inevitable set-backs life throws at me. 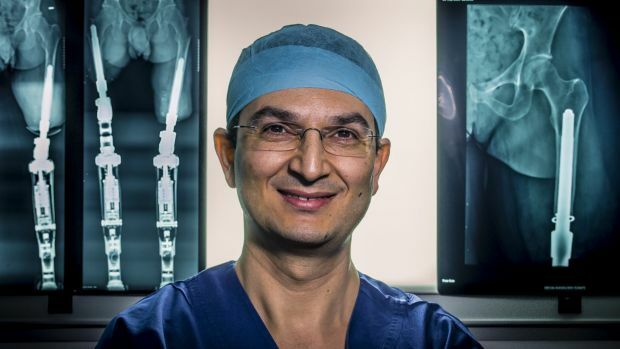 Dr Munjed Al Muderis is a world-renowned orthopaedic surgeon in Australia. Munjed was born in 1972. He was already a doctor when he was forced to flee Iraq in 1999 for refusing to follow an order by Saddam Hussein to mutilate the ears of army deserters. I met him at an event hosted by Amnesty International recently and was enthralled with his story. After leaving Iraq he managed to get to Jakarta, Indonesia where he found a people smuggler and a place on a boat headed for Australia. Because he was a doctor he got a guaranteed place – one of 150 people on a boat meant to take only 50. Halfway to Christmas Island the skipper abandoned them and they were left to navigate their own way to the Island. Eventually he was transferred to Curtin Island where he described horrendous conditions for all “inmates”. He got through this time by taking action – standing up for his and the other refugees’ rights. After a long period in detention he was eventually granted a visa and began the task of finding a job. Having been released from detention in November 1999 he knocked on every door of every hospital in the country until in January 2000 he was given a post. He is now one of the best known surgeons in Australia, and in the world. 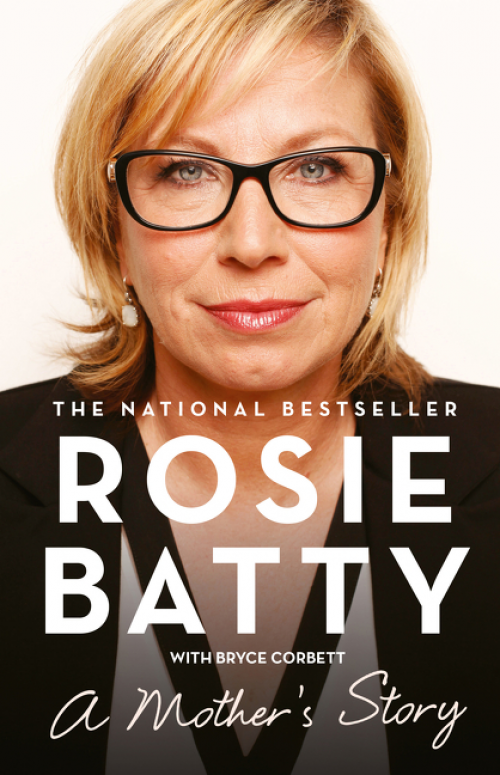 Rosie Batty is another incredible Australian who comes to mind when I think about resilience. Rosie is an Australian domestic violence campaigner and the 2015 Australian of the Year. Her role as a campaigner began in 2014 after her 11 year old son Luke Batty was murdered by his father. Rosie now pours her heart and soul into changing the fate of thousands of women (and men) through her work in the area of domestic violence. To lose a child in the way she did, and to use that pain to create real change is beyond inspiring and humbling. 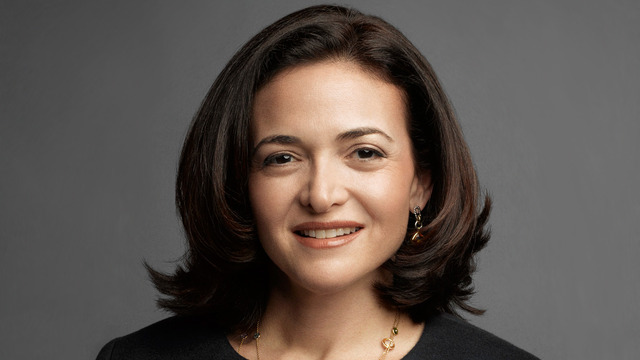 Sheryl Sandberg, COO of Facebook and famous for her “Lean In” book and philosophy, has faced great adversity in the last few years. Having lived a seemingly charmed life – successful, wealthy, kids, happy marriage – in 2014 she faced the worst moment of her life when her husband Dave died suddenly. Sheryl has talked openly in public about that period and the challenges she faced – and still faces – every day. In an incredibly poignant Facebook post not long after Dave’s death, she tells the story of how she was crying and devastated one day about the fact that Dave was never going to be there to see the kids play sport and that she didn’t want to do it alone. A good family friend who was with her at the time advised her that she had to pull herself together by saying “Option A isn’t available any more, but let’s kick the sh** out of Option B”. 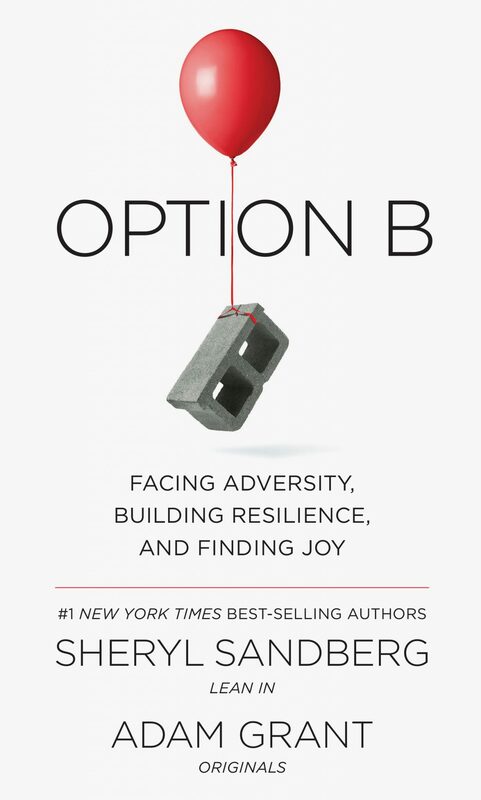 Her most recent book “Option B”, co-authored with Adam Grant is a raw and honest account of the ways she has dealt with the adversity of losing her husband and navigating life with her kids post Dave. In a keynote on the topic of Resilience to a group of General and Senior Legal Counsel recently, I told the stories of Munjed, Rosie and Sheryl, sharing common lessons for all of us from those stories on how to build resilience and move forward through adversity. Munjed, Rosie and Sheryl all have an incredibly strong sense of purpose in life and it is related to helping others. 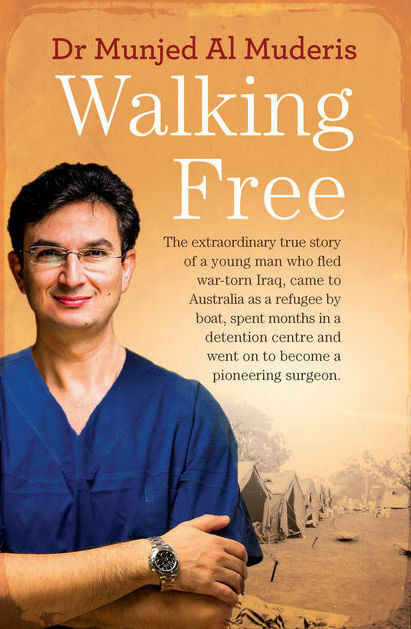 Munjed clearly helps people in his everyday work as a doctor, but he is also a strong advocate and voice for refugees. Rosie is driving political and social change around domestic violence in Australia. Sheryl is driven by both purpose to connect the world through her work at Facebook, and also to help women succeed through the Lean In movement. Understand that the feelings you have won’t last forever, nor do they have to impact every area of your life. Sheryl Sandberg tells a story in her book about imaging how things could actually be worse – this gave her perspective in even the darkest moments. I believe in all 3 stories each person also chose the perspective of compassion and understanding over blame and resentment. When I think of some of the challenges I have faced personally, particularly breast cancer diagnosis and treatment, it has always been the people around me who have spurred me on and encouraged me to move forward. Surrounding yourself with a supportive network of friends, family and colleagues makes a big difference to how quickly you bounce back. We’re proud to celebrate the achievements of our hard-working, committed and clever members. Resilience with a capital ‘R’. That’s what many of our members represent. This month we want to acknowledge that strength and resilience in two of our members who have recently been promoted! Well done Kate and Sonya – we are so proud of you and look forward to celebrating with you over networking drinks. 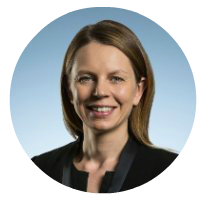 Kate Dryden has been promoted from Executive General Counsel to Executive General Manager, Growth at Veolia, Australia and New Zealand. Sonya Parsons has been promoted from Senior Associate to Partner, Commercial Litigation at Thomson Geer Lawyers. 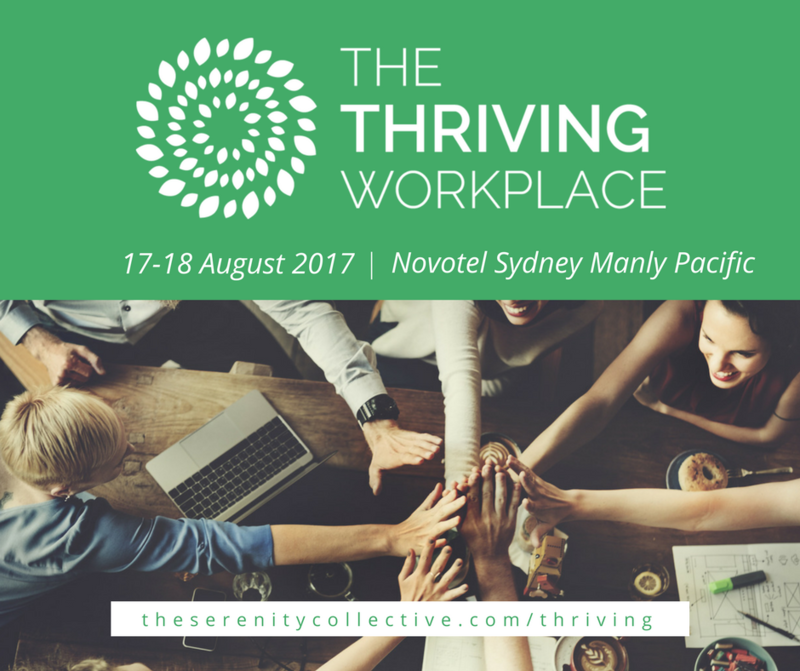 SmartWomen Connect is proud to partnering with member Claire Jones, co-founder of The Serenity Collective at the inaugural Thriving Workplace event. Find out how organisations around the world are boosting engagement, wellbeing, productivity and profits – featuring stories from leaders at organisations like lululemon Athletica, Vinomofo, Patagonia, Westpac, Service NSW, Optus, SAP, Caltex and more! Founder Fiona Craig has coached and mentored one of our founding members Denise Cheng for many years. We are therefore proud to share Denise’s passion for her work at The Reach Foundation, which believes that EVERY person has unlimited potential… and we all have a unique voice that wants to be heard. Reach provides young people with a safe space to share their story. 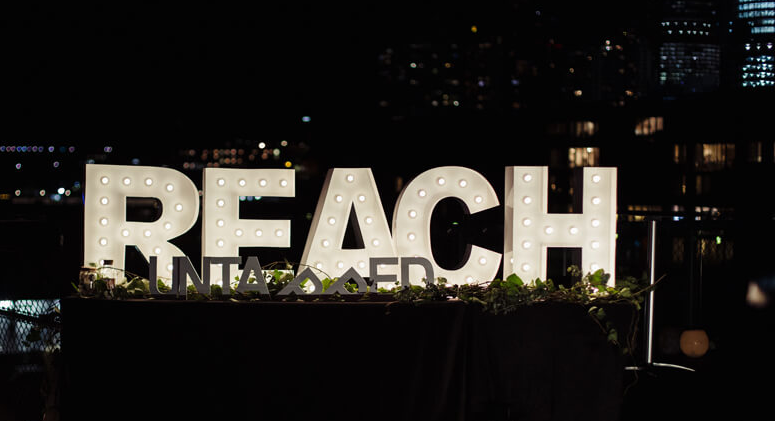 On 27 July 2017, Reach will be hosting their annual fundraiser in Sydney. 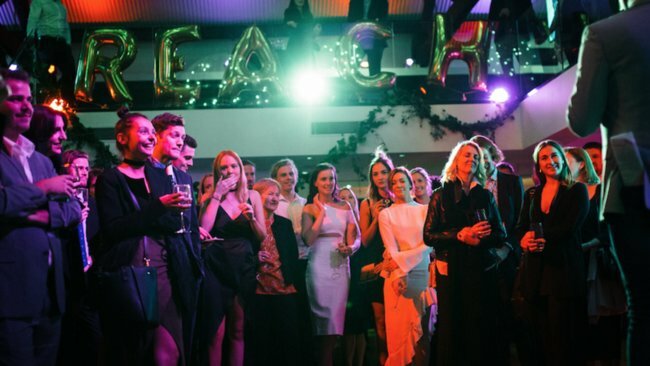 Untapped is not just a night of delicious food and flowing drinks, it will be an experience that challenges the preconceived notions of both young people and traditional fundraising events. With adversity comes an opportunity to build your resilience and to grow as a human being. You may not always be able to control what happens to you in life, but in most cases you can choose how you react to the situation. And at SmartWomen Connect we can help you with your professional and personal growth. Our goal at SmartWomen Connect is to change the face of corporate networking for women in Australia. We connect you with women – and men – who will inspire you to be more, do more and create more success and fulfilment in your career and life. We do business with people we know, like and trust – I’m proud to say that the Clan of women we are bringing together fall into these categories – as a result we are seeing women doing business together, referring work and contacts and helping each other. But more importantly, we see real relationships building – and this comes through the power of human connection – climbing the corporate ladder or building your business can be lonely – technology is amazing and lets us do so much, but without a supportive network who can lift you weekly, monthly, yearly, it can be an uphill climb. We’d love to see you at breakfast or another event soon so you can find out for yourself what SmartWomen are doing together. Book through this website. Or if you already know you’re a SmartWoman, email me to set up a time to talk about our membership options. And remember, we are Stronger Together! 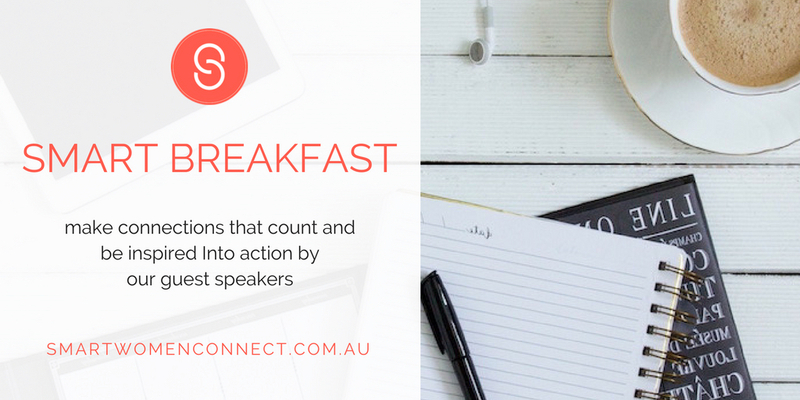 PS To join us at breakfast – click here to register – seats are limited for non-members and selling fast.